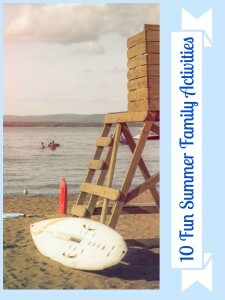 Staycation Idea: 10 Fun Family Summer Activities | A Savings WOW! Disclosure: This is a sponsored post, I am a Kmart blogger, though all opinions are my own. 1. 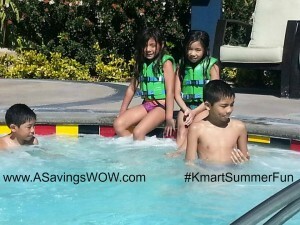 Go swimming – Whether it’s in an inflatable pool in our backyard or at a waterpark, my kids love to go swimming. They’ll spend most of the day in there until either they are called inside or the waterpark closes. 2. 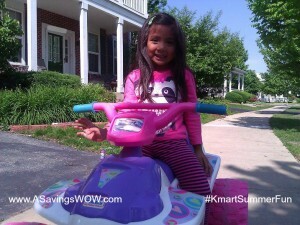 Ride our bikes – My kids ride their bikes to visit friends. Our neighborhood also has an annual 4th of July celebration where the kids decorate their bikes and have a parade following a fire truck. It’s so much fun to watch! 3. 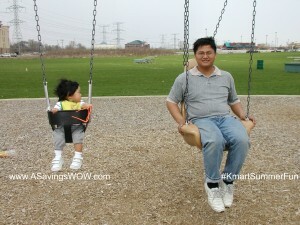 Play at the playground – My kids love to play on the swings, monkey bars, and generally just run around. Lately, we’ve been watching the show, “American Ninja Warrior,” so they like to pretend that they are competitors going through the obstacle courses. Playgrounds are fun because they are for all ages, from babies to adults. 4. Have a water balloon fight – This is the best way to cool off when the temperatures get high. It’s also the best way to settle any sibling disputes going on at the moment. 5. Set up the slip ‘n slide – With just a hose and the slip ‘n slide, my kids can spend hours and hours outside. It brings back memories of when I was a kid and doing the same thing during the summer! 6. Draw with sidewalk chalk – My kids’ friends love to come over and all of them decorate our sidewalk with their artwork. They love to leave messages for us. After it rains, it becomes a new canvas and they start all over again. 7. Play in a bounce house – This is also something that appeals to all ages. I can’t tell you how many times the adults have asked the kids politely to get out of the bounce house (okay, they were kicked out), so the adults could bounce, too! 8. Do science experiments – These are best done outside because if there is some kind of explosion or mess, you aren’t trying to get it off of your walls or floor. One of our favorite ones to do is the soda and Menthos one. A note of caution: make sure you step way, way back before it erupts! 9. 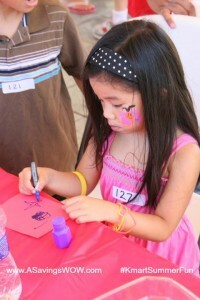 Make crafts – We set out long rolls of paper with markers and paint and just let the kids have at it. One of my goals this summer is to do some of the DIY furniture painting outside that I keep seeing on Pinterest (let’s see if I actually have time for that by the time this summer is over). 10. 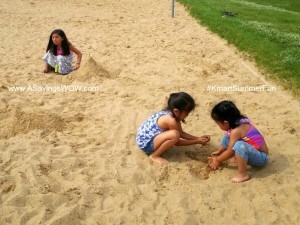 Get in the sand – Whether it’s in a sandbox or at the beach, my kids love to create new things in the sand. They’ll use their hands or a bucket full of beach tools and come up with some amazing creations. The best thing about the activities above is that you don’t have to break the bank to do them! 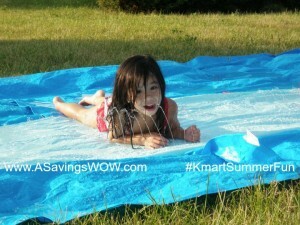 You can find some awesome deals at Kmart Hot Deals sale page right now, including pools, sandboxes, swing sets, slip ‘n slides, water guns, and more. 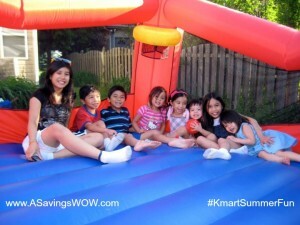 It’s good to have some #KmartSummerFun! P.S. Don’t forget to sign up for the free Shop Your Way Rewards program before shopping at Kmart. You’ll earn rewards and also receive surprise points to use towards your purchases!